LONDON Fire Brigade were called out to a blaze on top of an office skyscraper in the early hours of Saturday morning. Around twenty calls were made to the emergency services are smoke was seen billowing from the roof of One Churchill Place at Canary Wharf. Eight fire engines from stations in east and south east London were called to the fire at the building which is the global headquarters of Barclays Bank. Sixty firefighters helped put out the fire which was under control shortly before 2am – less than ninety minutes after it was first reported. 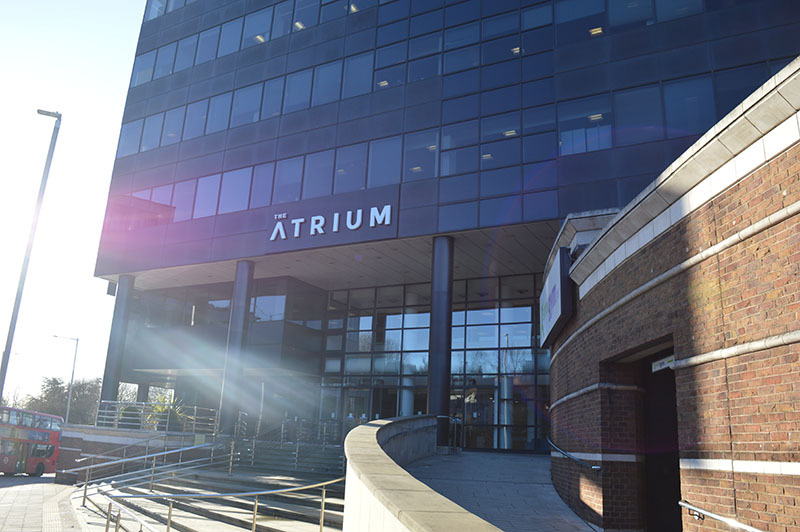 CASH-strapped Northamptonshire County Council has been given permission by the government to spend the proceeds from the sale of its new office building. The green light to use capital receipts for day to day spending, believed to be without precedent, was given yesterday by the Secretary of State for Housing, Communities & Local Government, James Brokenshire, in response to recommendations from Commissioners sent in to stabilise the council. Northamptonshire Council, which announced it had a £70 million shortfall, opened the brand new head office building at 1 Angel Square in Northampton in October last year. 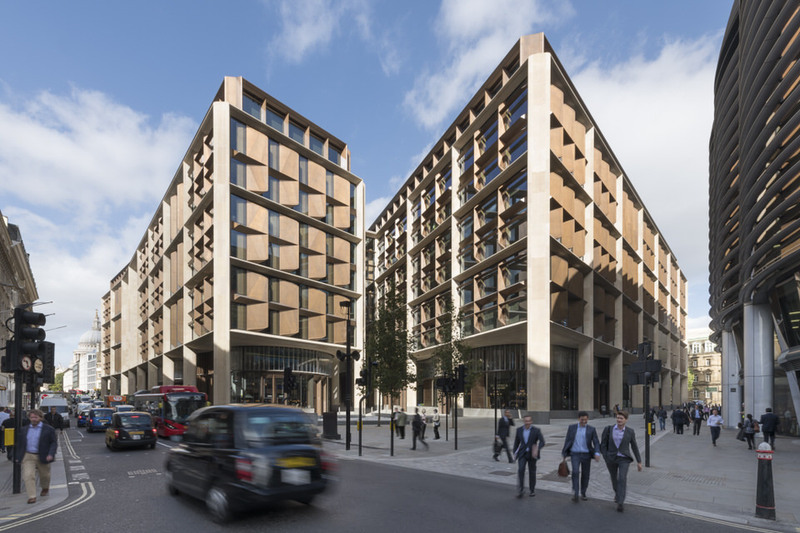 Just four months later the stricken authority announced the £60 million sale and lease-back of the BDP-designed property. It will now be able to use the income from that sale to help plug the gap in its spending. The 22,000 sq metre development boasts a four storey atrium reception as well as a central courtyard with office space, informal meeting areas and touchdown areas grouped around it. Earlier this year, Northamptonshire County Council voted to scrap itself and two new unitary authorities will replace it from 2020. MANAGED workspace provider BESpoke has leased 20,000 sq ft of space in Belfast city centre. 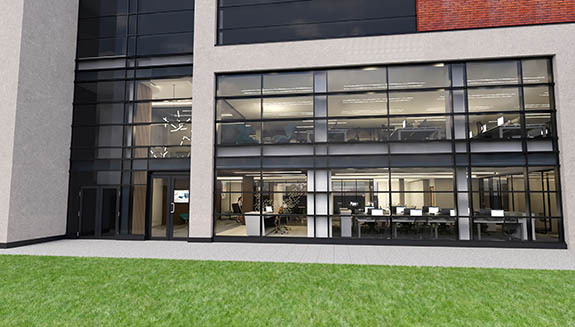 BESpoke acquired the space inside the mixed-use Adelaide Exchange development in Belfast’s Adelaide Street for one of the big four international professional services firms. On completion of a customised 14-week refurbishment programme the client will take a three-year licence. It’s the eighth deal for the division of BE Offices since it launched in November last year. 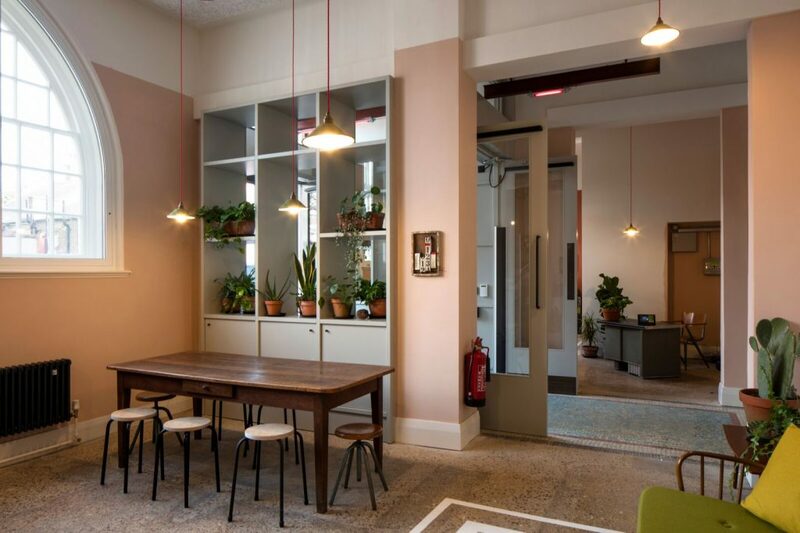 Jonathan Weinbrenn, BESpoke’s managing director, said: “Our client was looking for a customised branded solution to solve its short-term needs for additional office space. We are able to take traditional office accommodation and transform it into space that reflects a client’s image, culture and brand. A new co-working business centre will also be created as part of the fit out and operated by BE’s Headspace division. BESpoke was advised on the Belfast acquisition by Savills Ireland while Colliers acted for Straben Developments. THE iconic former offices of the Liverpool Echo and Daily Post newspapers have been sold to an overseas investor. Paradigm Property Consultants, the Development Managers of Reach PLC, acting jointly with Savills, have sold the forward funding and mixed-use redevelopment of the landmark Post & Echo Building in Liverpool city centre to Dubai-based investor, Select Group. The redevelopment, which is due for completion in January 2020, will create a vibrant new mixed use destination totalling approximately 300,000 sq ft (27,871 sq m) in the heart of Liverpool’s commercial district with two floors of Grade A office space. 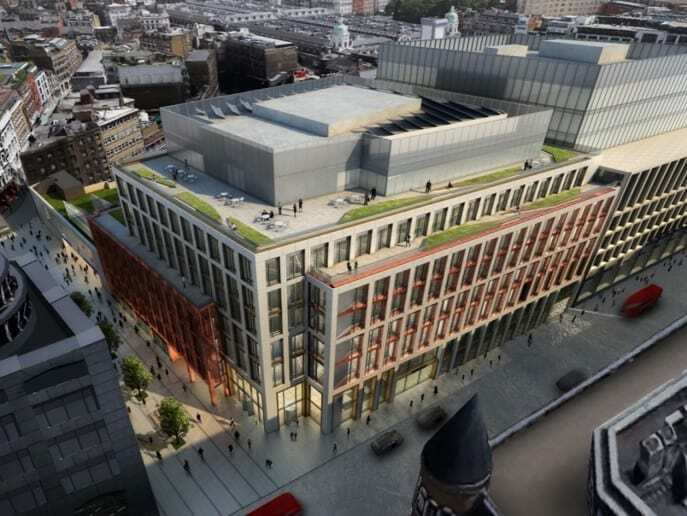 Once complete, the Echo Building in Old Hall Street will also have a new four star 207-room hotel, a restaurant, conference facilities, gym and rooftop Skybar, along with new retail and leisure space. Shepherd and Wedderburn LLP and Withers LLP acted for Reach PLC and Select Group respectively.